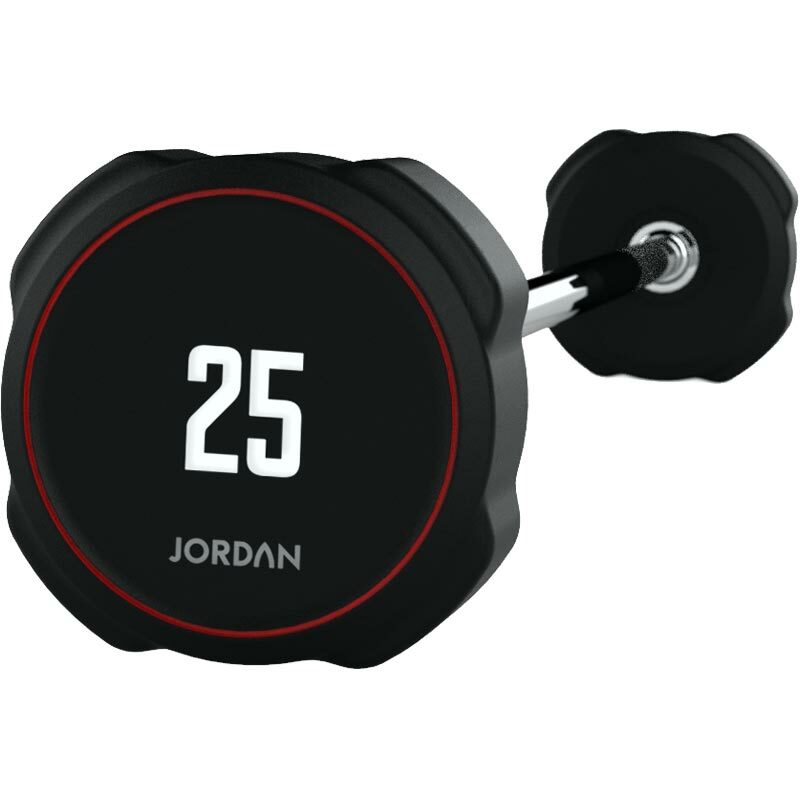 The Jordan ® Ignite V2 Urethane Straight Barbell is manufactured from solid steel, which is more durable and compact than other cast iron products on the market. The urethane covering will not scuff or mark any surface. They are unique and stylish with an anti-roll design. Heat treated handles, which make them more durable and far less likely to bend. Brushed steel handles rather than chrome, so no possibility of flaking.